ok…yum y’all. I made 2 because the 3 older boys came for dinner, but the recipe is written for one. I doubled most everything. Rub the chicken all over with the butter and dried tarragon. Rub the inside of the chicken with some butter and a bit more tarragon. Set on the rack of a roasting pan. Roast at 425 degrees until a thermometer stuck in the thigh reads 160 degrees (about an hour). Baste it as it roasts with 1/3 cup melted butter and 1/2 cup chicken broth (I use homemade). 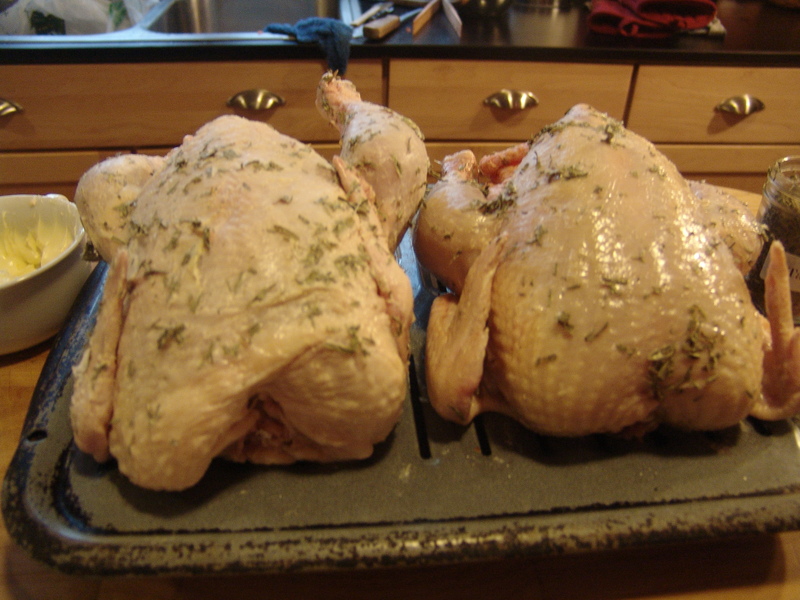 Set the chicken onto a platter, and pour the juices from the roasting pan into a small pot. 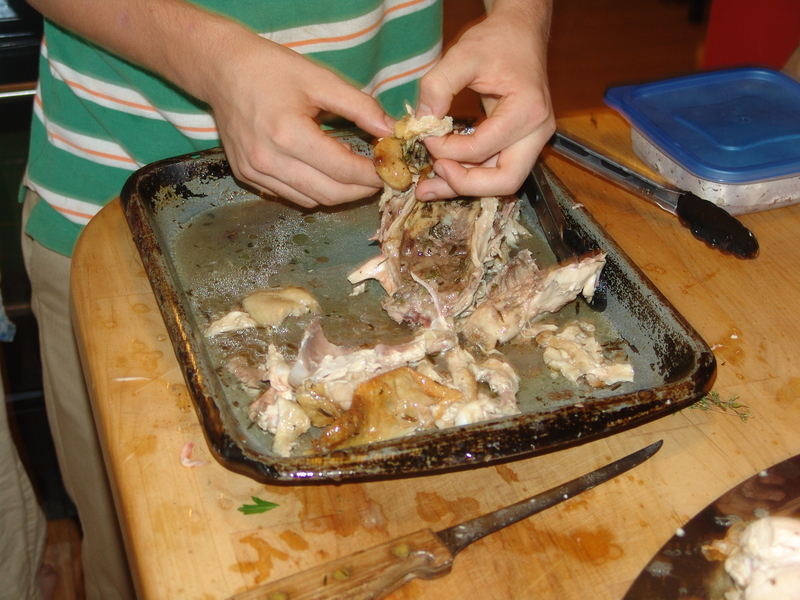 Then put the chicken back into the roasting pan. 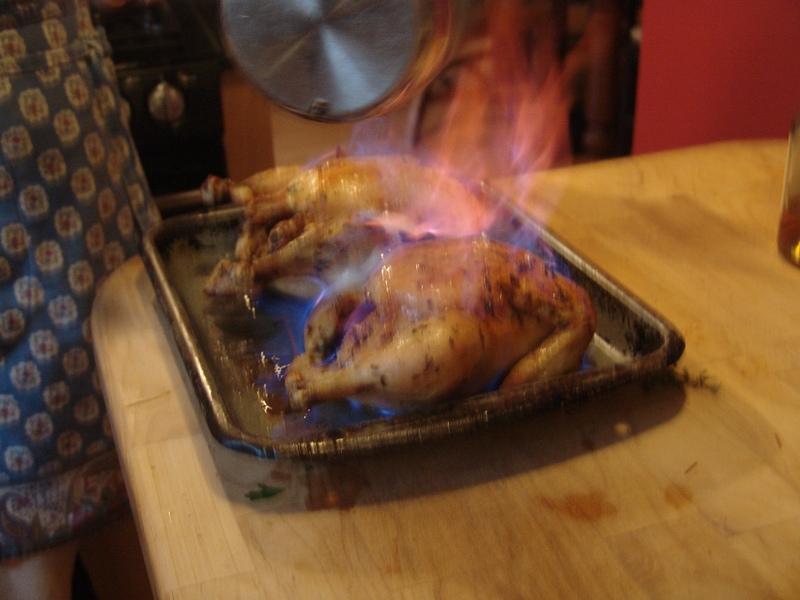 Pour the warmed whiskey over the chicken, and light with a match. Stand back, and wait for the flames to subside. Cut up the chicken and pour the whiskey juices into the pot with the ones from the roasting pan. Make a sauce by combining the pan juices with 1 cup of Quick Brown Sauce (recipe follows) and additional tarragon to taste. Stand back as the heathens make short work of it. 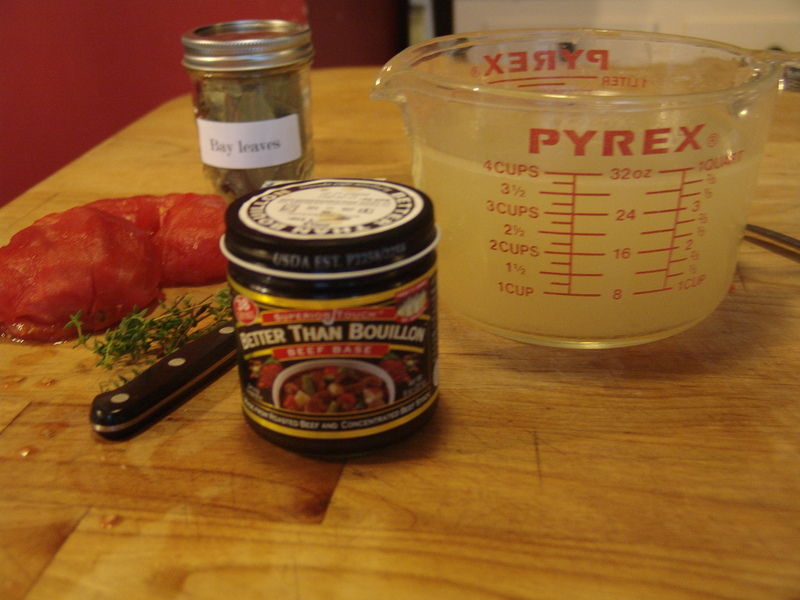 Ok, this is a modified version of his recipe. I didn’t have ham, but did have ham broth. I didn’t have beef broth, but did have beef base, so I put the beef base in the ham broth instead of browning the ham and using beef broth. Clear as mud? Good. Anyway, this is HIS recipe, with my alterations in parenthesis. Slowly mix in the beef (ham+beef base). Add the bay leaf and thyme. Simmer gently for 1 hour, uncovered then add the tomato, salt and pepper to taste, and wine if you like. Simmer for another 1/2 hour, then strain through a sieve. 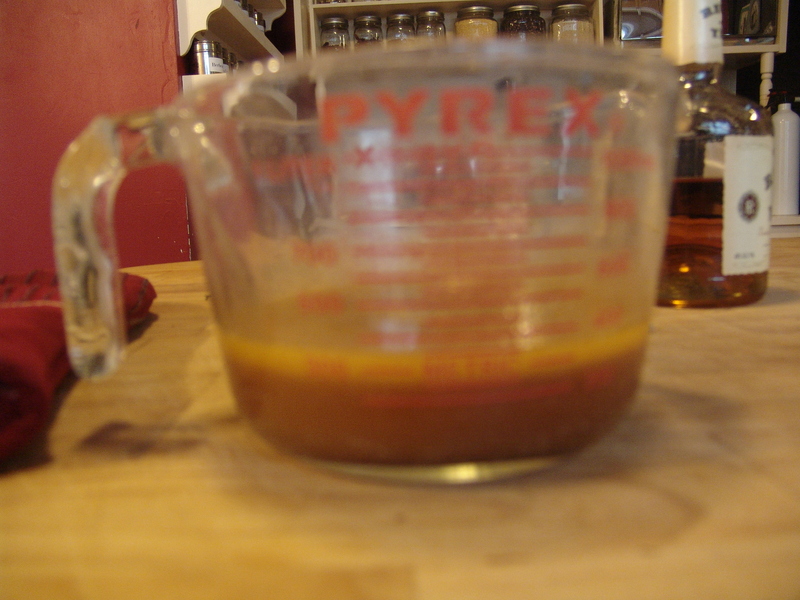 If the sauce does not seem thick enough, boil down to the required consistency or thicken with beurre manie’. I’ll go into beurre manie’ some other time. It was thick enough for me this time.